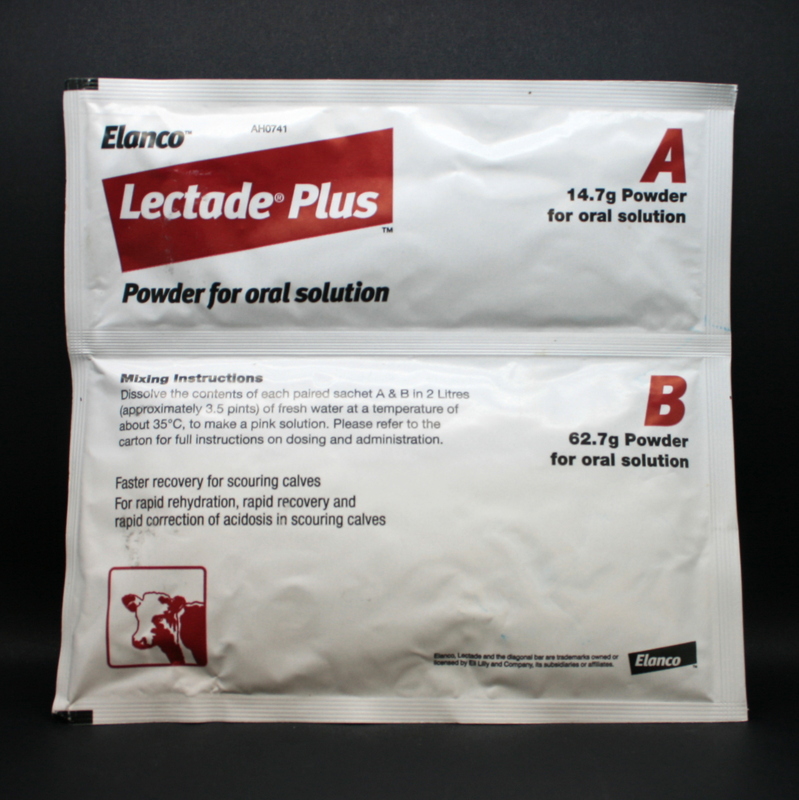 Lectade Plus Powder is a veterinary electrolyte mix. 2. After prolonged exercise, to replace electrolytes that have been lost through sweating. 3. Treating subclinical (not yet showing obvious signs of) dehydration. For example when blood results show increased serum protein & packed cell volume. Sachets are administered by dissolving sachets A & B together in 2 litres of warm (35° C) drinking water. Warnings & Contraindications- Discard any unused solution after 24 hours. Always feed sachets A & B together.